I am making two baby quilts. Thought I’d make something simple and plop an appliqué on them. Nothing ever turns out simple in my world of no quilt top patterns. I suppose it’s because my father turned me on to Robert Frost when I was a child. This was the first Robert Frost poem Dad ever recited to me. That poem along with a chorus from a John Coltrane song pretty much explains my whole life AND my quilting habits. I think that’s why I tackle the hard things and try to do them. I think that’s why I often start a quilt pattern or plan and change the plan in the middle of the project. Ok, I’ll admit it. I ALWAYS change the plan. That brings us back to this baby quilt. 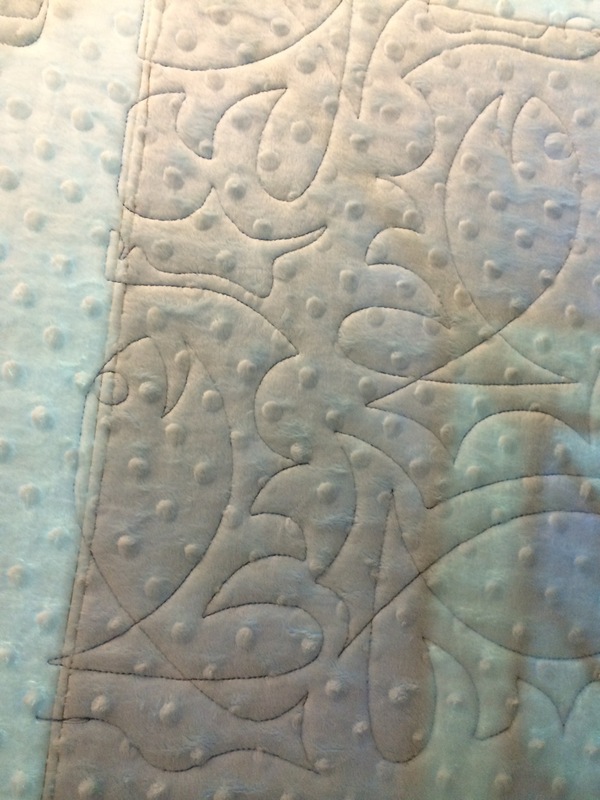 I started with a plan of a quickie Jelly Roll race with a border all in blues. Followed by slapping a sailboat appliqué on it. Good plan. However, as I sat down to the machine, I decided I wanted it to kinda look like ombré. The idea was light blue at the top for a sky effect with dark on the bottom for the sea. Did that and it looked boring. So boring that I had to chop it up and so I frog stitched (seam ripped) apart every 6 rows. Cut those to make quarter square triangles and boom had a chevron design. Cool! Not cool. Now I had to miter the border. Ok easy peavey. Now the quilt isn’t big enough. Have to add another border. Bigger border. Now have to miter that so it matched the smaller already mitered smaller border. I learned why you want to see all your borders together first before you put them on the quilt for mitered corners. I cut out a paper sailboat to see where I wanted to place it and quite frankly it sucked. So now I scrapped the idea of the appliqué. 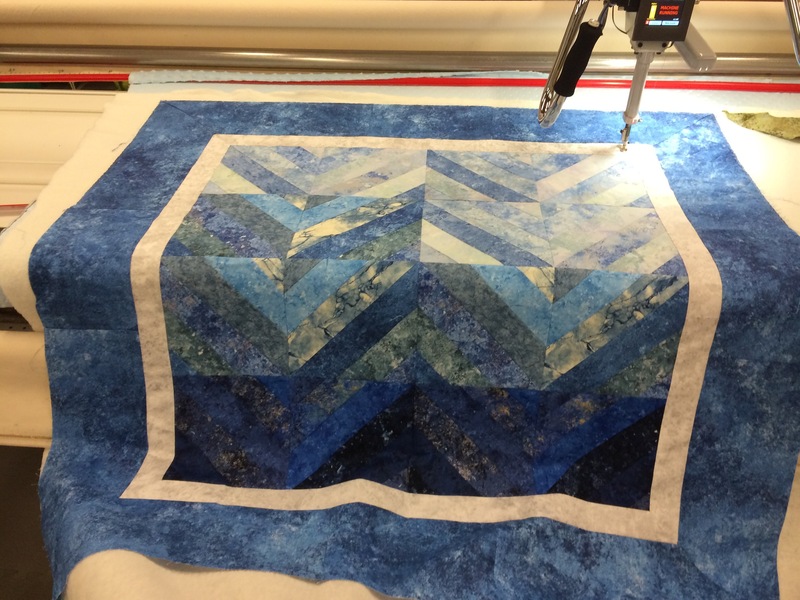 Found a cool fishy edge to edge longarm pattern and am long arming that on this quilt. A two evening project turned into a week. My less traveled path sometimes takes more time. But I am pleased with the result. Next Next post: Lumi dyes are intriguing!